Day One: Starting my Paris trip with a casual outfit. As it was our first day of exploring the city I went with my favourite denim skirt from Alice & You and a classic stripe tee. 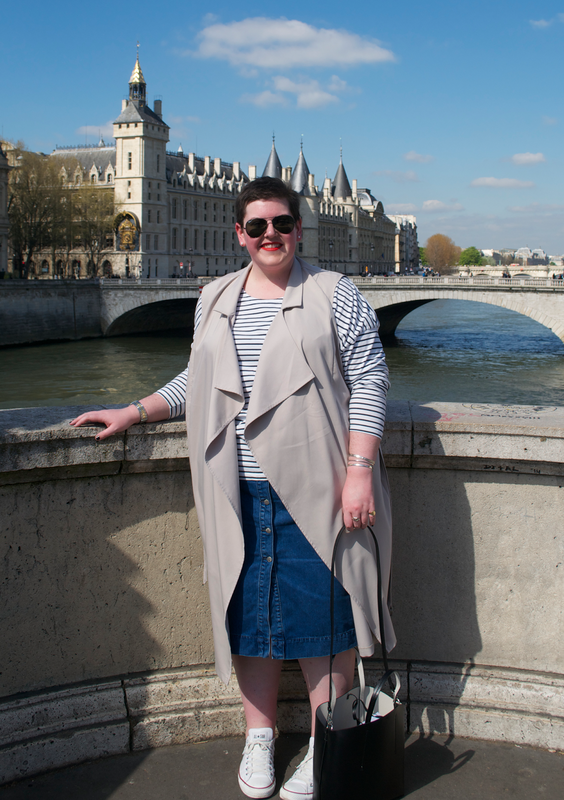 As the sun was shining I added my sleeveless trench from Simply Be and my white converse were prefect for all the miles we managed to walk. 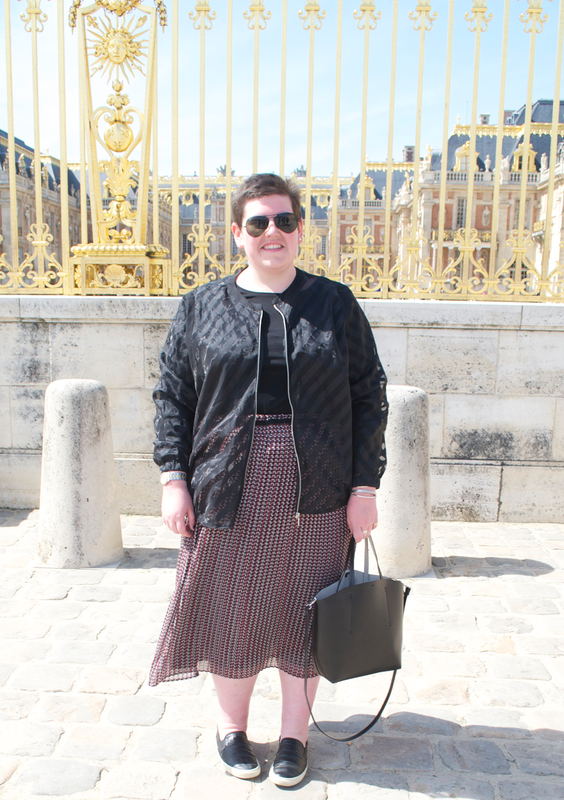 This outfit defiantly made me feel very 'Parisian'. Day Two: Can we just take a moment to appreciate this bomber and the pattern of the skirt? I have become a big fan of bomber jackets and its nice to see a wide range of plus size jackets out there. 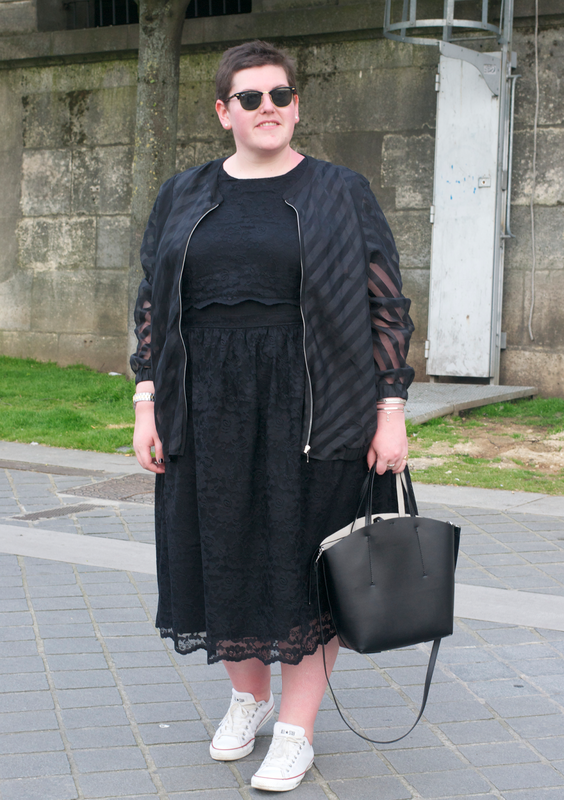 I picked this black sheer bomber up from Evans last year, and it my favourite. I tried to channel the Sports Luxe trend by adding my Saint Laurent slip on sneakers. 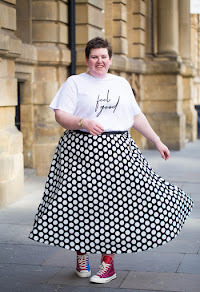 This Elvi skirt add colour to an all black outfit, but don't stare at the print for two long as it will make your eyes go funny! Day Three: For a day of shopping in the city I went for this ASOS dress, the lace detail is beautiful, I paired it with my favourite bomber jacket and trust converse. My Zara bag was perfect for this trip as I could fit everything I would need and more inside. Day Four: As it was our last day and a late evening flight I went for comfort. 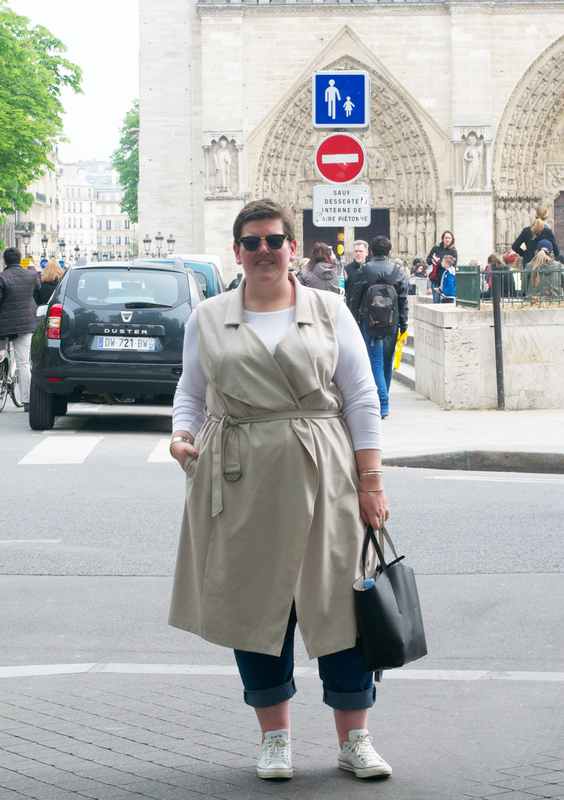 My vintage boyfriend jeans and white tee go perfectly with my sleeveless trench for a day of wondering around Notre Dame and the stalls along both sides of the river. I Hope you like my looks. Which is your favourite?